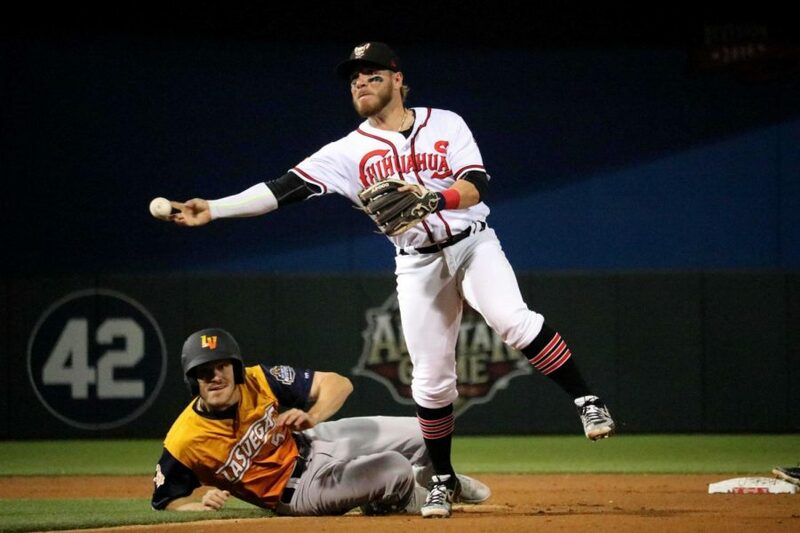 The Chihuahuas (5-6) opened the season losing four out of their first five home games versus the Las Vegas Aviators, in a less than auspicious start for the defending division champs. Coming into this season this squad has been hit with high expectations considering the amount of talent on the roster, consisting of numerous highly touted prospects. Now the Chihuahuas are on a four-game winning streak behind power on the plate and stellar play on the mound. El Paso hosts two non-division opponents this week in the Reno Aces and Tacoma Rainiers. The Chihuahuas are also coming off a suspended game against the Reno Aces on April 15. The game was suspended in the 11th inning because of a Pacific Coast League travel curfew. 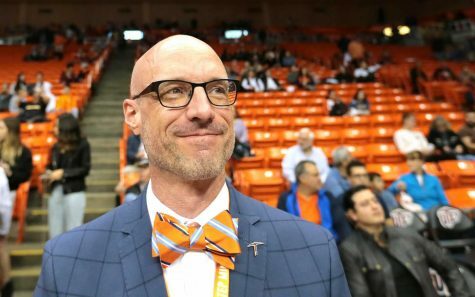 The game will resume on July 15, during El Paso’s next visit to Reno. At the time of the suspension, the score was tied at 5-5 and the game will leave off at the beginning of the 11th inning. Third baseman and former Cincinnati Reds minor leaguer of the year Seth Mejias-Brean, leads the Chihuahuas in batting average at .400, which ranks 9th in the Pacific Coast League. Left fielder Jose Pirela, has two home runs and leads the team in runs batted in with 15, while batting .364 in 11 games. First baseman Ty France is batting .362 with two home runs and 11 runs batted in. Overall the Chihuahuas are third in the league in batting with a .293 average as a team, but overall lack speed on the bases and is tied for worst in stolen bases– a metric in which they trailed the entire league last year. On the pitching side, El Paso is near the bottom of the league in earned run average and has only one starting pitcher that has an earned run average under five. Jerry Keel, has been the team’s most consistent starting pitchers so far and yet sits with an earned run average of 4.91, one win, and 10 strikeouts in 14 innings. Top prospect Logan Allen, has started two games and barely lasted five innings combined, giving up 11 earned runs while having control issues giving up seven walks. The team so far has only one save from the bullpen, and that has come from Luis Perdomo, who has a 1.35 earned run average to go with four strikeouts. Another top prospect for the Chihuahuas, infielder Luis Urias, was recently moved up to the San Diego Padres, and started at second base in their game Monday against the Colorado Rockies. The Tacoma Rainiers come to face El Paso with a 4-7 record. The Rainiers are batting .280 as a team and are led by catcher Austin Nola, with a batting average of .433, one home run and 11 runs batted in. Nola is coming off a game where he reached base every time at bat versus Albuquerque with two hits and three walks in five at-bats. Tacoma features recently acquired top 10-second base prospect Shed Long, who is currently batting .372 with one home run and five runs batted in. Long has been played all over the diamond in multiple positions that include outfield, second and third base. In 2018, Long struggled defensively against the Cincinnati Reds. The Rainiers feature the Mariners 7th ranked prospect center fielder Braden Bishop, who is batting .333 for them. Tacoma is ranked last in earned run average with 7.51 runs per game. Ryan Garton, leads the team with 11 strikeouts in ten innings with 4.50 runs given up per game. The Rainiers have the top prospect in the Mariners organization pitching for them in former first-round pick Justus Sheffield who currently sports a 5.29 earned run average in two starts. Coming to town Friday, April 19, will be the Reno Aces (3-8) who have lost all three games to El Paso this season, giving up 24 runs in three games with one more game to play at home in the series. Reno has been equally inept in pitching with an earned run average just over seven a game. Pitcher Taylor Clarke, has been their workhorse with three starts, but has an abysmal 7.52 earned run average with one win and one loss. Anthony Vasquez has been their best pitcher in two starts with a 4.50 earned run average. The Aces feature the second-ranked player in the Diamondbacks organization in right-hander Jon Duplantier, who has pitched three innings of scoreless ball with four strikeouts. Reno has been middle of the pack batting with a team batting average of .265. Left fielder Travis Snyder, is batting .500 in 30 at-bats leading the team in that category. Returning to El Paso will be former Chihuahua fan favorite, first baseman Cody Decker. 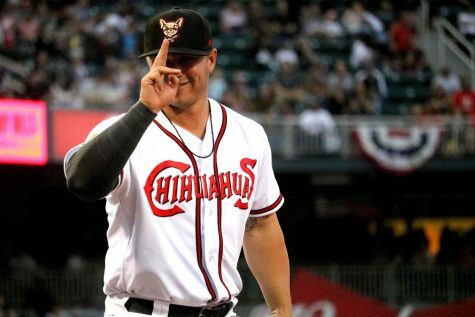 Decker currently is the all-time Chihuahuas home run leader with 48 home runs in his two seasons here along with making the league all-star team in 2015. The Chihuahuas seven-game homestand starts Tuesday, April 16 at Southwest Univerisity Park.